Ferrous sulphate heptahydrate also known as Iron (II) Sulphate is a blue green crystal with the formula FeSO4.7H2O. Contains 19.5% Iron (Fe). Originally it was known as “green vitriol” or “copperas”. It is soluble in water and melts at 64C. It is produced as a by-product of the pickling of steel. It is used as a mordant in dyeing wool, in the manufacture of ink, in water purification as a substitute for aluminum sulphate, as a fertilizer, as a lawn conditioner and in many moss killers. It is also used to produce magnetic ferric oxide. 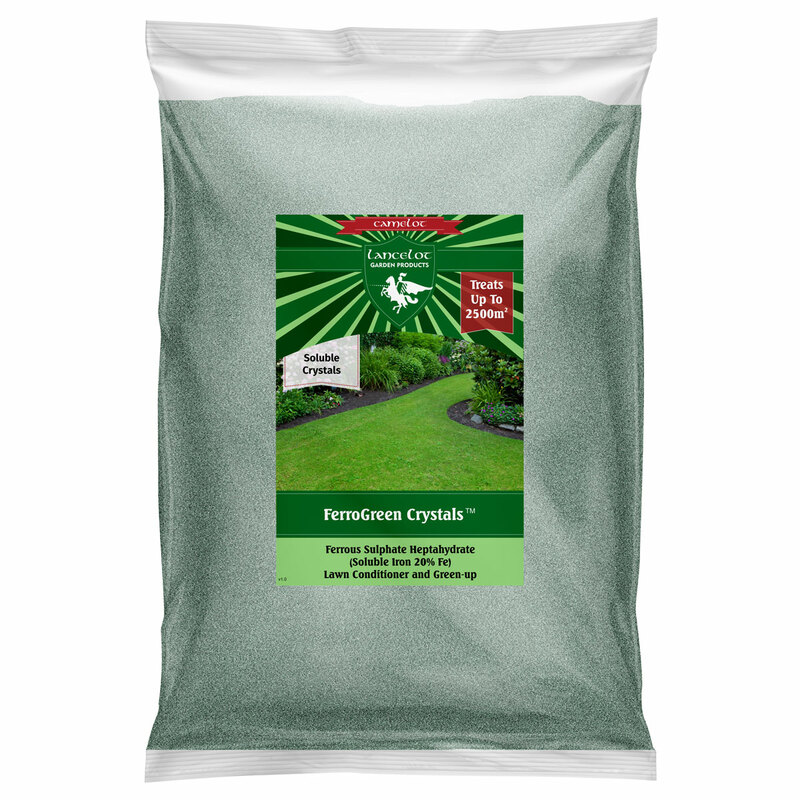 It is used as a lawn conditioner and fertilizer. See below for full details on application. It is the main active ingredient in many commercial moss killing products. Woodworkers use ferrous sulfate solutions to colour maple wood a silvery hue. It is used as a traditional method of treating wood panel on houses, either alone dissolved in water or as a component of water-based paint. An over usage of Ferrous Sulphate can be harmful if the land being applied to has a low pH (very Acidic) as Ferrous Sulphate is naturally very acidic with a pH of 2.5. 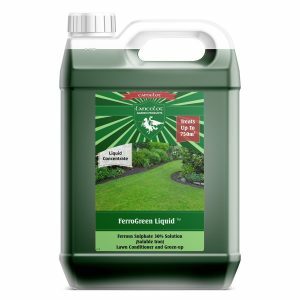 It is also recommended that the entire lawn be treated rather than specific areas to prevent certain patches becoming more acidic than others.